ModBargains.com offers GREAT Prices on our full line of Centric Replacement Brakes. Purchase Online or CALL 714-582-3330 to speak to one of our Modification Experts. FAST & EASY SHIPPING! The Centric Replacement Brake Rotors for Porsche 911 are the best replacement rotors without the expensive OEM cost. By replacing your brake rotors on the Porsche 911 with Centric Replacement Brake Rotors, you will be increasing your braking and stopping performance and improving driving safety in your vehicle. 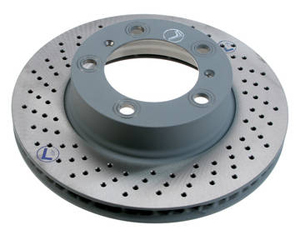 Over time, brake rotors can be grinded down and warped, hindering braking performance causing longer stopping distances. With the Centric Replacement Brake Rotors, you are getting OEM-quality brake rotors without the expensive price tag from the dealership. These Centric Replacement Brake Rotors are made exactly to spec of the OEM Porsche 911 brake rotors, so you know they will fit and function perfectly.